For most prog listeners the best albums by this Munich-based band (which is often seen as part of "Krautrock", at least in the wider sense of the term) are clearly from the early 70's. Like the preceding album Surfin' that has gained very negative reception, the jazz-rock of stupidly named Bad Heads and Bad Cats is coloured with funk flavour and slight ethnic elements. 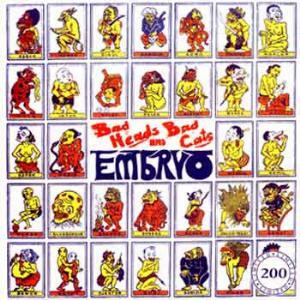 This album is however much better, if not exactly what progheads would prefer to hear from Embryo. My fave track is the lively 'After the Rain' which has deliciously fresh contributions of reeds and keyboards, but on many other tracks the light-hearted wandering remains more boring. It feels like the group of seven musicians was preventing the music to really take off the ground. The same criticism concerns the two bonuses on the Garden Of Delights edition, but on the other hand they don't pale at all in comparison to the main album. The CD is nicely boosted to 64 minutes. Also the leaflet with lots of pictures (including album covers) must be thanked for. My 2½ stars can be rounded upwards.